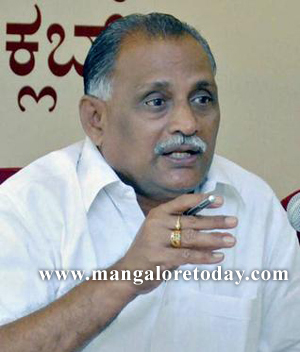 Mangaluru, Apr 15, 2015: Speaking at the preparations meet, Minister for Youth Empowerment and Sports Abhayachandra Jain has said all materials needed for 19th Federation Cup National Senior Athletics Championship 2015, will be delivered at Mangaluru by April 22. The department of Youth Empowerment and Sports has floated tender for supply of materials needed. Materials worth Rs 50 lakh will be procured by the department. He said C M Siddaramaiah will inaugurate the meet on April 30. Top athletes from all over the country will compete at the meet. Olympians, Asian Game medalists, national record holders all will take part to prove their worthiness and assemble an ’Indian athletics team’ to participate in international events. The selected team will represent the country at Asian Athletics Championship in Wuhan in China, World Athletics Championship at Beijing, and Rio Olympics in 2016. He said quality food only should be served and the money should be spent correctly. Every rupeee utilised is accountable. The State government will release Rs 1 crore. Materials worth Rs 50 lakh and lawns worth Rs 20 lakh will be laid next to the synthetic track by the department of sports. The balance amount will be raised through donations. Banks, industries and other institutions will be approached for raising funds, he said. DK DC Adoor B Ibrahim said Nada Kacheri near the stadium will be converted into anti-doping test centre and Nirmithi kendra has been entrusted with the responsibility. The gallery at Mangala Stadium has been redone. The Karavali exhibition grounds have been developed with 200 metre track as a warm up area for athletes. The work on medical station, post event area, combined events rest area and photomatic timing-keeping kiosk will be taken up shortly with technical inputs from Athletic Federation of India. The accommodation committee members said rooms have been booked in hotels and guest houses. The estimated cost is around 25 lakh. Food will be served to athletes at the present volleyball court. The meeting also decided to go for event insurance for athletes. It has been decided to install 200 banners in buses, 500 pole banners, banners in all gram panchayat buildings, bulk SMS and announcements are on the cards.